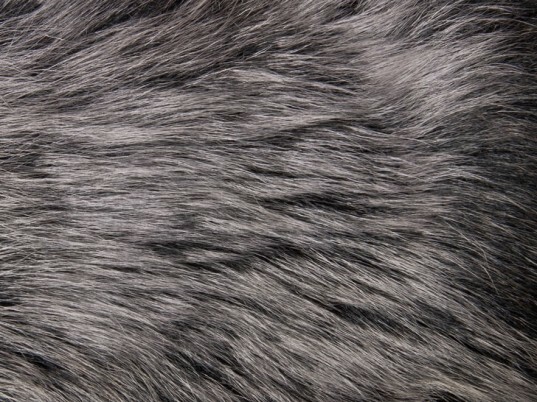 The fur industry has tried to discredit faux fur manufacturers, claiming that the process is more damaging to the environment than “natural fur”. But a recent study from CE Delft reveals just the opposite, that even low-impact mink’s effects on the environment outweigh the making of faux fur. The study examines manufacturing, cold storage, cleaning and life of the garments, finding that faux fur is almost five times greener than your average mink. Animals rights activists can present an ethical and moral argument for choosing faux fur over real fur, but this study by CE Delft adds a new layer to their plight to abolish “real” fur. The fur industry has fought hard to give itself a green spin, claiming endlessly that because animals are natural, that the processes in using their skins for fashion are more environmentally friendly and green. The study compares a natural mink fur coat side by side with a faux fur coat (as we as a mink trimmed and faux fur trimmed). Aside from production, a heavy tax on the environment comes from the life long maintenance of natural fur increases its impact on climate change incredibly- especially for cold storage during summer months. The study also found that natural mink still has a greater environmental effect than five fur coats, even if cold storage and yearly cleaning aren’t performed. Not only is fur ethically irresponsible, but also weighs heavily on the environment. ^^vv Sorry wrong comment based on fb comments saying that you promote natural fur.. glad you don't!